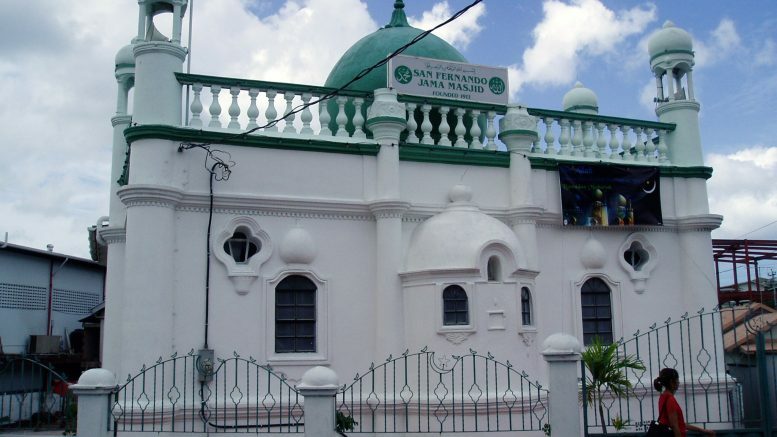 Maulana Hassan was a member of the sole existing jamaat in San Fernando. When conflict arose he decided to leave and start another Jamaat. He got together with Brothers Asgarali Syne, Sheikh Bahadur Ali, Soman Ghany and Hafiz Yacoob Ali and they decided to pursue the matter. 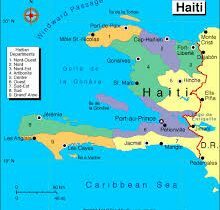 They raised over fourteen hundred dollars and from it purchased the parcel of land on which it now stands for one hundred and fifty dollars ($150.00). The parcel of land measured fifty feet by one hundred feet. In 1913 they started in earnest with the erection of our Masjid and laid it’s foundation progressing steadily. When the structure was substantially completed need was seen for another entrance. There had only been one at the time. More land was needed. Hafiz Yacoob Ali who owned the adjacent land southwards donated a piece of it and it is on this land a second entrance was built. Around 1917 the building was finally completed and namaz performed in it. It is a two storey structure of reinforced concrete, still retaining its original architecture. Our first Muezzin was Brother Shahadath Khan. Those who followed him officially were Brother Mohammed Sulaiman, Salamat Ali and Mayudeen Meah. There is something about Brother Salamat Ali’s azan (call to prayer) that is worth mentioning. Fishermen around Faralon Rock in the Gulf of Paria about two miles away westwards have reported that they heard his voice as he called azan for the Fajr namaz (prayer). He had a most powerful and melodious tenor voice. In the early days, azan used to be called from the roof of our Masjid. There is a narrow concrete stairway built on the inside of the southern wall which leads to a trap door on the roof. One may get to the roof through this trap door. Azan is no longer called from the roof. It is called from an area in the western side of the building which was an uncovered porch at one time, but is now part of the namaz floor. However following the death of Mohiuddeen Meah azan was called regularly by Haji Ahmad Khan for quite a few years. Hafiz Yacoob Ali was the first official Imam of our Jamaat and led the first namaz. Unfortunately we have been unable to determine which one of the five regular daily namaz it was. Those who succeeded him officially were Imams Sheikh Kurban Ali, Imam Sakawat Ali, Imam S.M. Otham, Imam S.M. Hosein and Imam Gool Aziz, all deceased. (May Allah reward them justly). Haji Imam Gool Aziz graciously stepped down to allow Moulvi Saied to take over as our Imam, remaining with us as an assistant Imam until resigning the post a few years after. Imam Syed Mohammed Hosein from San Fernando. Elected as the first President of ASJA Inc. He was Urdu/Hindi interpreter in the courts and the first Muslim Divorce Officer. Imam Hosein was a member of the Indian Advisory Council. He visited India in 1934 as a delegate of the Muslim Community of Trinidad in search of a qualified Moulvi. At the end of 1935 Syed Hosien arrived with Nazir Ahmed Simab Munshi Fazli. He was responsible for spearheading the debate against Qadianism with Moulvi Ameer Ali. Syed Mohammed Hosein also served as Imam of Jama Masjid in San Fernando. He was an ardent worker for the cause of Islam. He organized and conducted Maktabs and Sunday Schools. In many districts and was also Imam in those places. He was well known for his varied ways of stimulating and motivating young minds towards Islam. He was also a Muslim Marriage Officer. He hails from Surat, Gujurat, India. A qualified Moulvi from the Darul Ulum Islamia. He left India in 1948 bound for Barbados. He arrived in Trinidad in 1962 after residing in Barbados for fourteen (14) years. In 1963 after the passing of Syed Muhammad Hosein, he undertook the responsibility of the Imamat. Being well qualified in Islamic Law, Hadith and Quranic commentary, he conducted classes on these topics. Two prominent features of his career of his career was a five (5) month Imamat course conducted at the San Fernando Jinnah Memorial Hall. Fifty to sixty Imams benefitted tremendously from his wealth of knowledge. He was the son of Imam Hafiz Yacoob Ali. During Moulvi Saied’s tenure as Imam he served as the Moulvi’s Assistant. He held the position of President of the San Fernando branch of ASJA for seventeen (17) years, a member of ASJA’s Central Executive for twenty six years, Chairman of Al Huda (religious) Committee of ASJA for six years, one of the islands first Muslim Marriage Officers, the Manager of ASJA Boys’ and ASJA Girls’ Colleges for eight years, a member of ASJA Education Board for twenty five years and was a founding member of Young Muslim Cultural League, now San Fernando Branch of T.T.M.Y.O. Born in Penal, was Assistant Imam of the San Fernando Jamaat for the past eight years. Besides being a Marriage Officer and in teaching in the Maktab, he shouldered the responsibility of Funeral Services,Qur’an kwaani and Moulood functions for members of the Jamaat. At the time of his death in December 1986 Haji Baksh was serving as Assistant Imam of our Mosque. He hails from Gujurat in India. He has been Assistant Imam for approximately eight years. Involved in teaching Arabic lessons to children from Monday to Thursday plus the responsilities of assisting in Qur’an Kwaani, Moulood and Funeral Services. Be the first to comment on "The History of San Fernando ASJA Masjid"